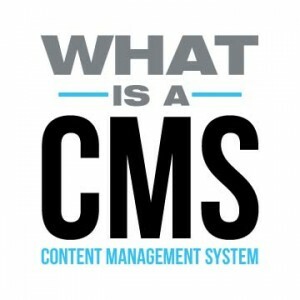 CMS stands for Content Management System, software that allows you to create, edit, and publish website pages. The growth of CMS application for business websites has come from the ease of use. CMS enables users to work on websites without having to edit the HTML source code. Using CMS users can edit a website even if they have little to no knowledge of web coding. The largest advantage to using a CMS is it allows a small business owner to make changes to their own website. This eliminates the need to hire a full-time webmaster or rely on your website designer if you need to add pages, edit content, or make any other changes to your website on a regular basis. The fast pace of business makes being able to instantly make changes to your website essential. It can also help to manage work flow and facilitate collaborative efforts. Before publishing content, multiple staff can input, edit and approve it. This can also result in better quality work. Lastly, it can save you money. There are many options available that are low cost or free. Even if you hire somebody to customize your CMS or assist with getting it up and running, it will still save you time and money in the long run. Many times a lot of emphasis is put into finding a CMS that is inexpensive and easy to use. However, you should do a little more research before settling on one. Though some systems make it extremely easy to input new content, they may not be so easy for making design or formatting changes. Spend some time finding out about add-ons and plug-ins that can be used to enhance the site. You’ll also want to find out about the adaptability of the system. The internet constantly changes and with the push towards mobility, you want to make sure that your CMS will not be a barrier to your website and business growth. Finally, you have to take a look at the compatibility of your CMS with your hosting provider.